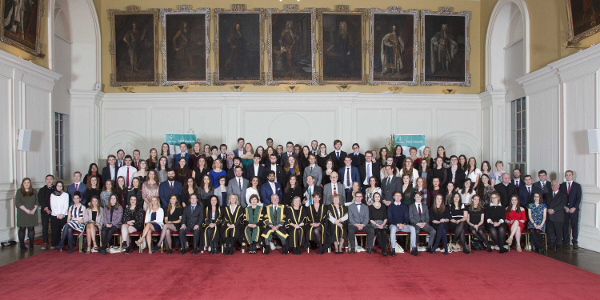 The Dr H H Stewart Medical and Literary Scholarships and Prizes are among the oldest awards to be offered for competition by the National University of Ireland. Following a bequest from the estate of Dr Henry Hutchinson Stewart, these awards were presented by the Royal University of Ireland from 1888 until its dissolution in 1908. Since then, they have been offered by NUI. Congratulations on being awarded a Scholarship or Prize, through the Bursary bequeathed under the terms of the Will of Dr Henry Hutchinson Stewart (1798-1879). Next year, 2019, we here at Stewarts Care, Palmerstown, formerly Stewarts Hospital, will be celebrating 150 Years since our foundation in 1869. In light of that, I have begun researching the biography, career progression and contributions of Dr Stewart, Psychiatrist and Philanthropist, for an exhibition and possibly a publication. Part of the exhibition/publication will focus on the NUI Dr Henry Hutchinson Stewart Scholarships and Prizes, and for this I am seeking your help. I would like to hear from you, as a recipient of a Scholarship or Prize, and what it meant to you as a student. A short few lines will suffice, and if you could include such information as the year you received it, through which Faculty, and please mention how it may have benefited you re. academically, financially, confidence etc. Recipients of NUI Dr H H Stewart Scholarships or Prizes who would like to contribute to this project can contact Pat directly at pat.o’donohoe@stewartscare.ie. NUI is facilitating this communication. NUI is not responsible for the content or privacy practices of other websites.